I’m the type of person that needs change and ever so often I’m looking for new ways to experience things with food and drink. Sometimes I think that my taste buds are so used to good coffee that I wonder what I’m tasting and if all coffee doesn’t taste the same. Well! that misconception is usually short lived until I go to a “typical” coffee shop or spot and they offer me coffee and I think “how can they get this so wrong”. I’m still intrigued by the on-going debate about how world class restaurants serve you fantastic food but when you ask for that espresso at the end of a great meal, you think “why did you get this wrong?”. Ok, I digress. I was looking through the flipboard (apple app for news update), which naturally I subscribe to coffee news and came upon this recipe on thecoffeecompass by Michael Butterworth, who is a coffee educator, who cofounded the Coffee Compass and is a two-time USBC Competitor, licensed Q Grader, and was once the 4th best Aeropresser in America (source: the coffee compass). Since finding the recipe I’ve tried it thrice – once verbatim, second, when I didn’t break the crust but took it out to give a cleaner cup and today with a slight adjustment on temperature and steep time. cover again and steep/leave for about 4 minutes, then plunge. For my slight variation today; I used 15g of coffee but about 240ml of 91C hot water. Followed the same plunge and break the crust, but for the final steep, I left for about 2 minutes. What did I notice taste wise using Kenya AA Plus Gicherori, SL28-SL34 Ruiru 11 ? For Michael’s version, definitely more fruity. I was excited by this new recipe and fruitiness and medium acidity tickling my tongue. For my second variation (removal of crust for a cleaner cup) – medium acidity with a light citrus taste. For my third variation (lower temperature and reduced brew time) – whilst not as fruity as version one, but more balanced. What did I learn also ? Using 95C hot water and pouring in straight away creates a vacuum – I actually thought that coffee would start dripping straight away but it didn’t. I was also fascinated by the breaking of the crust concept. I tried this coffee on the Hario V60, but it wasn’t as fruity as on the aeropress. I’m quite excited by this new version and I’ll probably use it until I am intrigued by another simple to use recipe. Please share any aeropress recipes with me and perhaps I’ll feature them too. 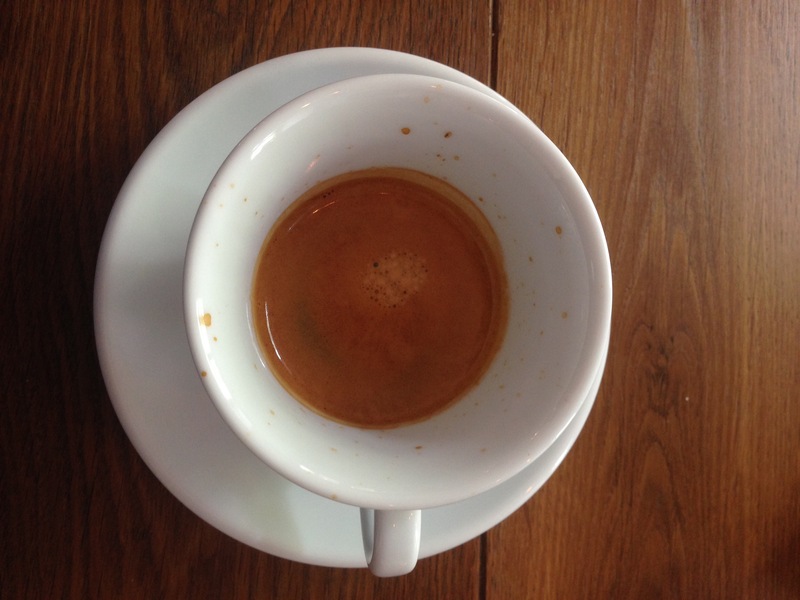 I remember when I started getting really into espresso coffee and reading all the stuff about the importance of making good espresso as captured in the importance of the espresso blend, the espresso machine, the grinder and finally…. the BARISTA. Even if you got everything right and the barista failed to tamp with the right amount of pressure, prep the machine and maintain it during and after the day, the espresso would still come out bad. I still get people saying to me, “oh! don’t worry, we are using a really good coffee” and worringly they may add “I’m not really good at making coffee but the coffee is good” – like the most important thing is the coffee – it’s a lot more than that. 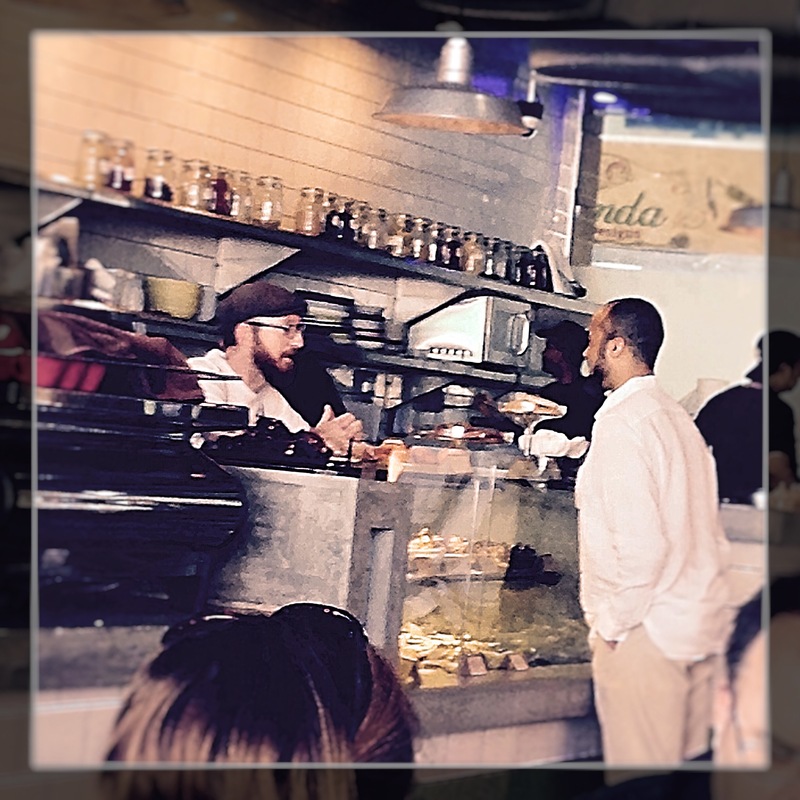 So, when I started visiting really good coffee shops way back when – over 10 years ago, I was not just excited to be ordering coffee, but I would always be excited to chat to the barista and ask them about their day, the coffee, what temperature they were brewing at, etc. The barista was the star of the coffee shop – the leading actor – everything started and ended with him/her serving you a great cup of coffee. Okay, I confess, these things still get me excited and may be I even go further like “if it’s fruity, can you increase the brew temperature so that it isn’t too bright” and “which coffee is best for milk, espresso or filter brew” which leads to me to the main reason why I’m writing this piece. I found out lately that most baristi (plural for barista) I quiz tend to give me a slightly puzzled look. I’ve noticed too that even though the game has been upped in espresso, most people still go to a really good cafe and just order a latte and pour sugar into it. Great! good coffee is in vogue but I’m not so sure if the onus on taste has been successfully transferred to the masses. 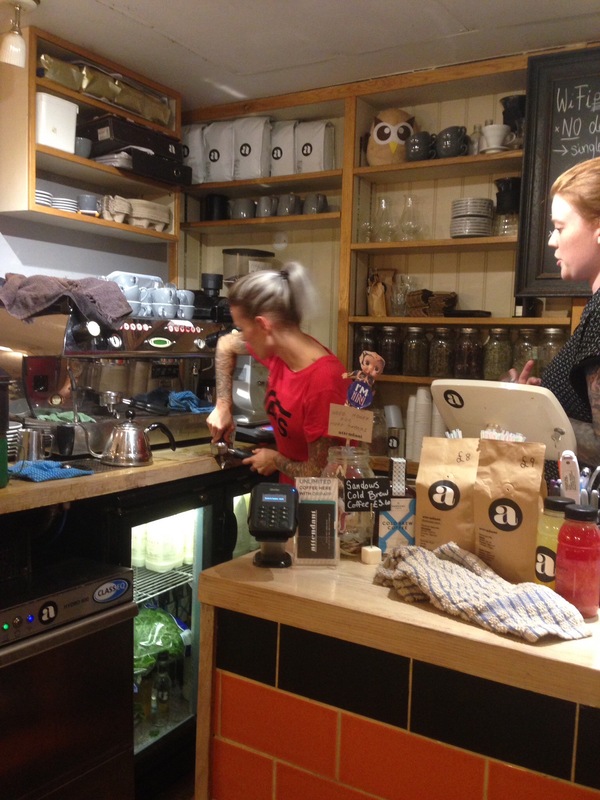 The barista is an expert – an expert at making good coffee and all experts should be familiar with their tool and provide a service in a professional manner. I accept that not everyone that walks into a cafe will be like me or the others who have way more expertise than me, but I kind of expect that the barista should be able to answer some basic questions about the coffee and to advise me on what would be best. Coffee is now big business, after all McDonalds and Dunkin Donuts wouldn’t have focused on coffee if it wasn’t and you wouldn’t have the likes of Starbucks offering flat whites (the drink of the espresso milk based connoisseur). Just the other week Perfect Daily Grind conducted a poll on twitter about what we want to see in 2017 and I wrote…. 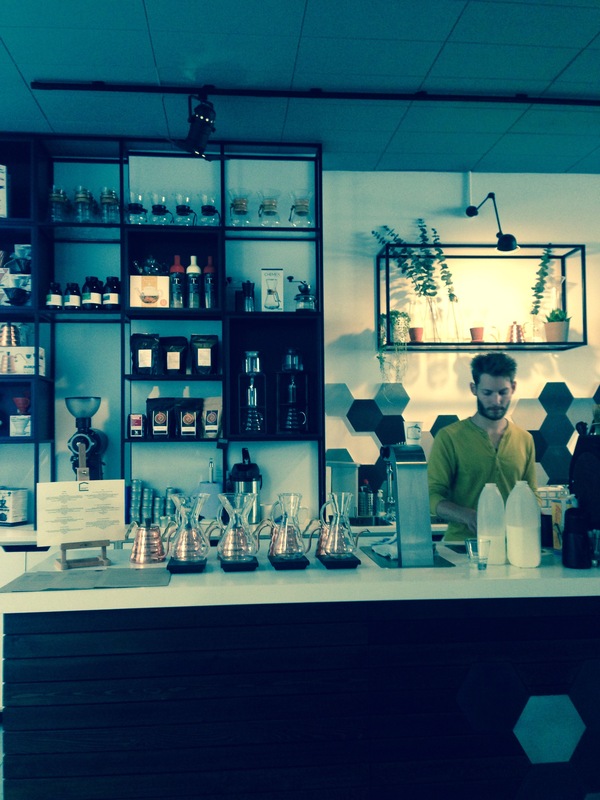 “I’d like to see baristas more versed in coffee knowledge”. My understanding of which is that some of your customers want more and you shouldn’t shun them but attend to them to. I wouldn’t go to the extreme like some cafes who snub you if you don’t know anything about coffee, order a cappuccino in the afternoon (in some cafes in Italy, they’ll say no) and scream at you if you put sugar in your coffee. In fact one cafe, doesn’t even have sugar. 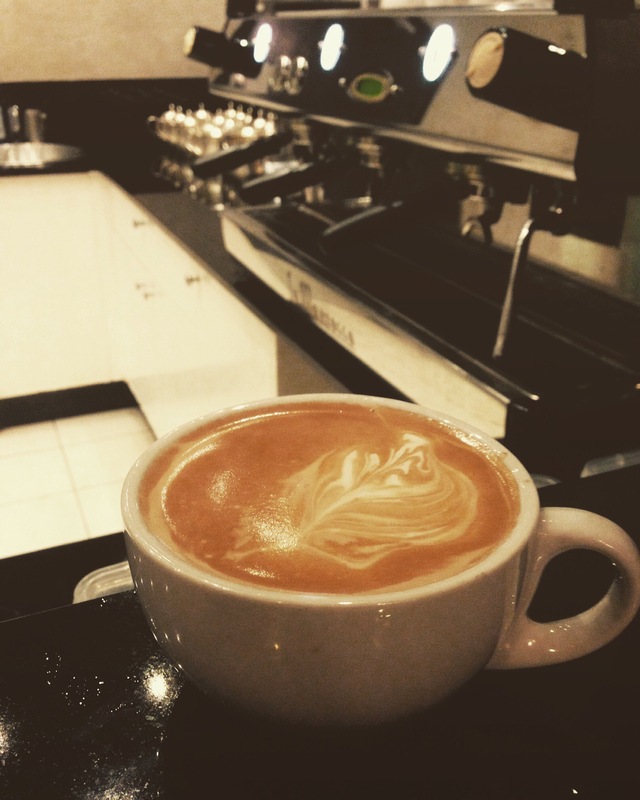 Even though I’m in my 40s (no shame), I still want to learn and thats what got me excited about coffee – there was so much to learn and I’m sure there’s still more to learn, so teach me barista…. I’m not saying each barista should be like former US barista champion, Pete Licata, who visited the coffee farms to learn which coffee to choose for the WBC, which he finally won in 2013. 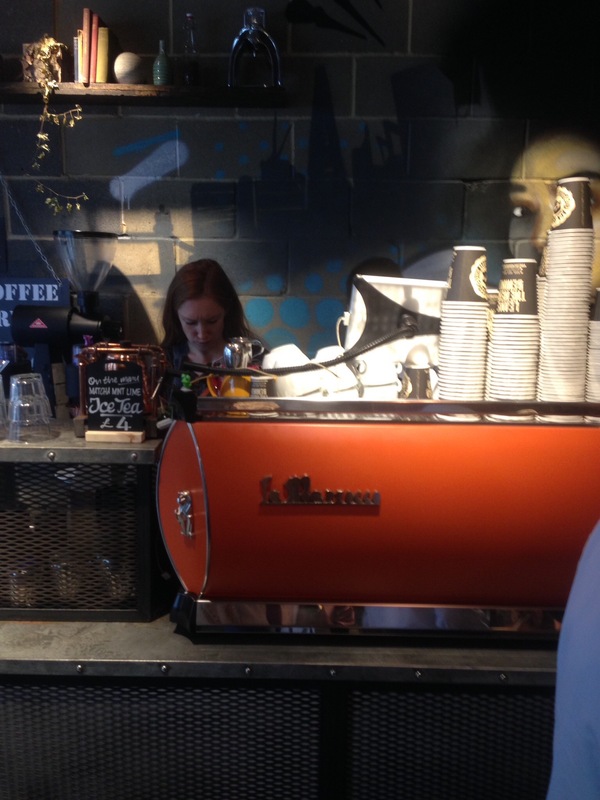 Back to the future or the basics – teaching the barista to focus on the essential elements coupled with great customer service based on good knowledge of the coffee they are brewing and how to adjust the brew parameters during the course of the day. When I had a coffee shop, I used too ask the barista to check the espresso machine and time the shot about 4-5 times a day. We weren’t as busy as your typical London cafe, which I presume would need checking a lot more times during the day. I think when you look at all those lovely bags of coffee and the way they describe the coffee; caramel, blackcurrant, grapefruit acidity, lemon curd, etc the main reason we don’t taste them is the barista – harsh, but I guess it’s also down to your palate too. I’d like to see the time when you enter a coffee shop and those taste profiles are displayed on a coffee menu, so that you are tempted to taste something different and escape with your taste buds to another world – ah! the drink of the escapist and the non-compromiser of taste. I know that sounds like a paradox and I’m sure some of my followers are like “what is he talking about” For many years, Lameen, that’s my real name – has been saying adhere to the golden rules – measurement, temperature and volume, to name a few. BUT, the main reason I’m writing this, is that occasionally I’ve strutted into a place to dictate how my coffee should be made, and on more than one occasion this year, I’ve been pleasantly stunned by coffee served to me without the rules I hold dear. That’s the pic at the top of the blog. So, after not having espresso for about 5 days, I strutted into the airport lounge and spotting an espresso machine, asked for one naturally. As soon as the barista started making the espresso, I said “la!” i.e. no in Arabic and asked if I could make it. So, I clean the very filthy group head, flush it and ask for the coffee. To my horror, it’s pre-ground espresso, stored in a drawer and although there’s air condition inside, it’s like 40C outside. For a coffee geek like me, my mind is “oh no the moisture, the crazy unstable temperature will affect the coffee, which has already been pre-ground and for how long has it been pre-ground”. Resigned, I’m like, okay, here’s how to tamp. I attempt to tamp with wait for it, the bottom of the glass, because the tamper is not large enough to cover the porta filter “aargh!” – this means that although some of the coffee will be pressed, the coffee on the border will not. OK!, so I now attempt to make an espresso – flush the group head and place my porta filter inside the group head and brew – what a disaster – the coffee is all over the place and the coffee resembles…. I’d rather pass. And that’s what I could see. So how did it taste. Not bad and above my expectations given the rule breakers. So, to conclude, the rules were broken but a decent shot ensured. Okay, on this occasion, the coffee was bought for me. Whenever my colleagues travel and buy coffee, they bring it back for me to brew and serve them, which I try and do every Friday when I’m not busy – a rare scenario of late. If ever they ask me “whole beans or ground” I always answer, “whole beans”. On this occasion, a colleague brought me this bag from Kenya, apologising for having not brought back beans. 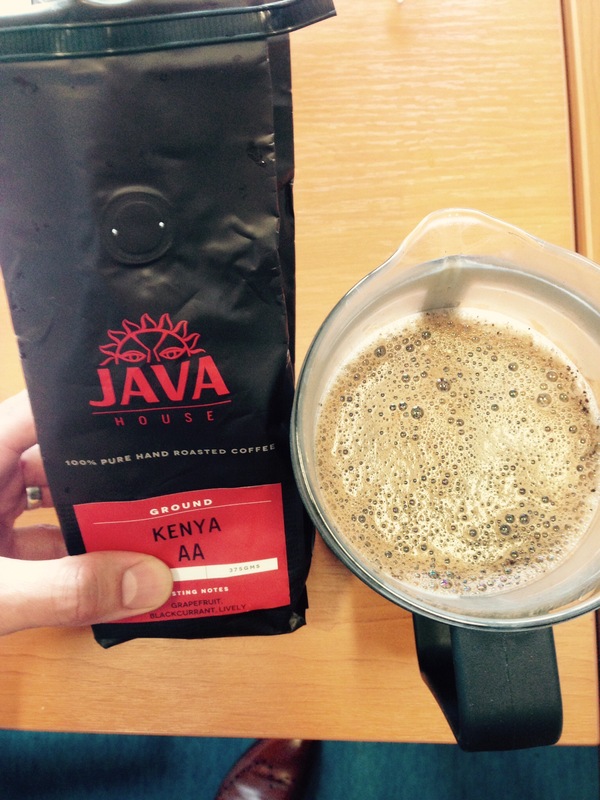 I casually looked at the bag, Java House , Kenyan AA arabica, which looked well presented and was even more taken aback by the tasting notes of grapefruit, blackcurrant and lively. Again, sceptical I brewed it using my french press recipe of 60g to one litre of 95C water. Wow! guess what? There was a bloom on top of the coffee (a sign of fairly fresh coffee) and more importantly of all, I tasted a grapefruit acidity with a hint of blackcurrant. Okay, so that rule was broken. 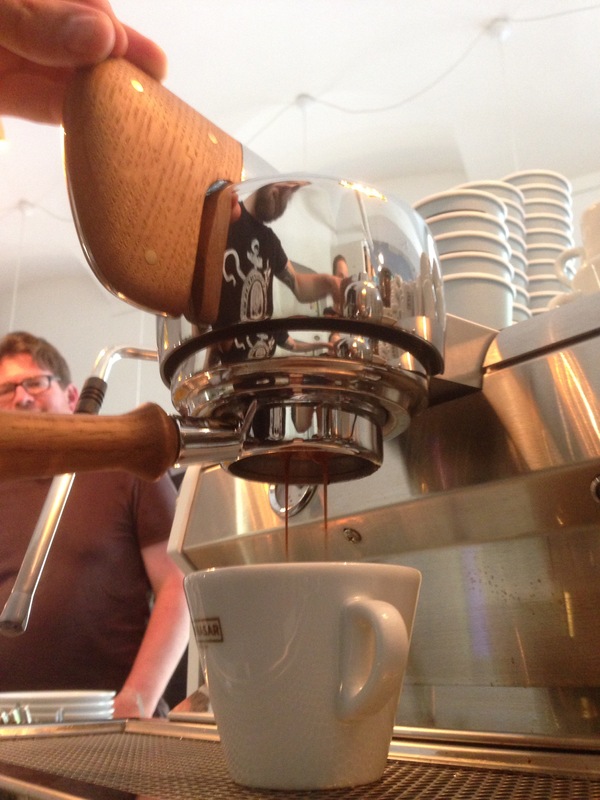 So, just this week, after Ramadan, I headed to my fave cafe in Vienna, Balthasar to check out their new espresso machine a Slayer Espresso machine. Otto, the owner, had been telling me for months that it was coming and he was so excited. In fact when I met him on Wednesday, I should have interviewed him as he relayed to me for about 4 minutes what the slayer could do. The gist was that you can brew at different bar pressures and for as long as you want, so I ordered a fruity espresso. 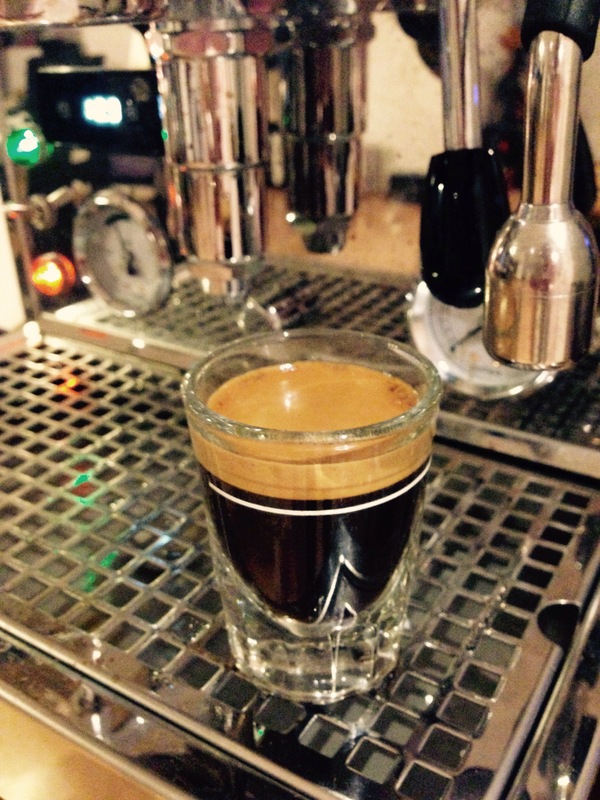 In short to get a fruity espresso, it is brewed at 3, then 9 and then 3 bars of pressure over about a minute !!! what ? Usually, espresso is brewed at 9 bars of pressure for about 22-25 seconds with about 18-22 grammes of freshly ground coffee yielding about 25-30ml of espresso. So, what has changed ? The whole game with this type of espresso machine – the rule is, there is no rule, because you can now brew espresso how you like, like a recipe ordered to your preference “fruity, nutty, low acidity, high acidity…. ?” carry on. A really fruity cup with over medium acidity. Well! I’ve got to redeem myself somehow – we can’t just give up on the rules, ion not there’ll be anarchy. So, as a prelude to my first experience, way back in January this year. I ordered a cappuccino at a top hotel in Zimbabwe (Meikles) because I spotted a La Marzocco GB5 machine, BUT. Watching the barista, I saw he used pre-ground espresso coffee, didn’t flush the group head, didn’t clean the group head, didn’t tamp with any real pressure, didn’t measure the coffee systematically, frothed a foam mountain and didn’t appreciate the kind of machine he was using. So, I stepped in and he was so willing to learn but on this occasion I didn’t touch the machine – I just guided him from across the counter. In the end, I got a good cup, with thick crema and although no latte art was present, it was along the lines. To top it off, the barista was excited by what he had just learned, he was going to access youtube to learn more skills and watch latte art being poured. Yay! a job well done. So, yes sometimes the rules can be broken and you may succeed but in general, adhere to and know the rules before you tamper (sic) with them. Mescla – I’m using an espresso blend from a recent Colombia Cup of Excellence lot, so it’s expensive, but the most important point is that it should be a coffee roasted for brewing espresso. 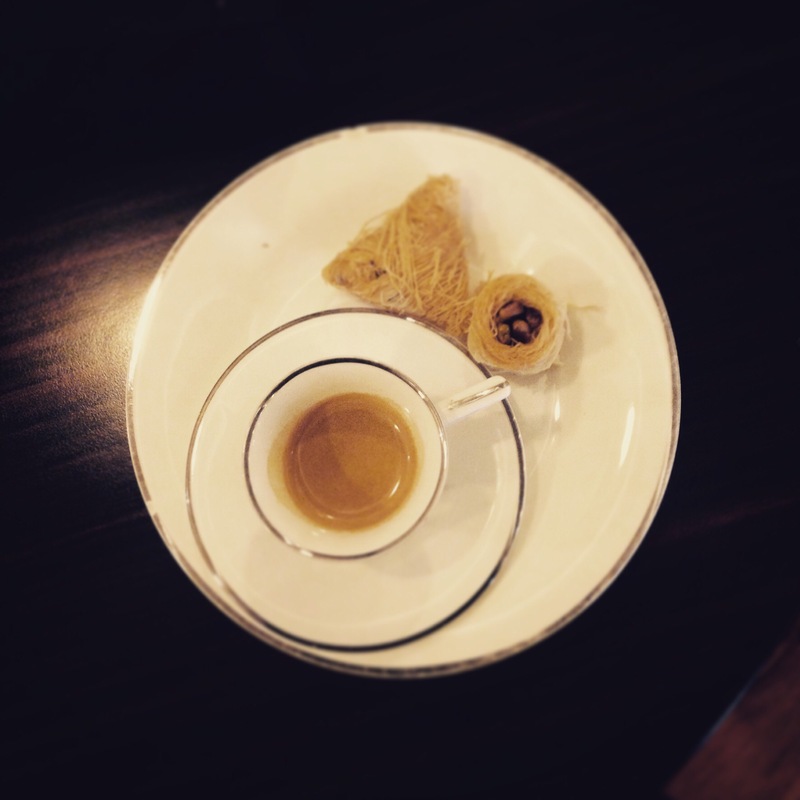 Some professionals, brew using different blends, but for the vast majority, an espresso blend is used. Machina – I’m using my newish espresso prosumer (a merge between professional and consumer) machine, a Profitec700, dual boiler machine with a rotary pump and a PID (i.e. I can change the temperature of the espresso boiler) and a whole lot more, but let’s say it costs more than $2,000. 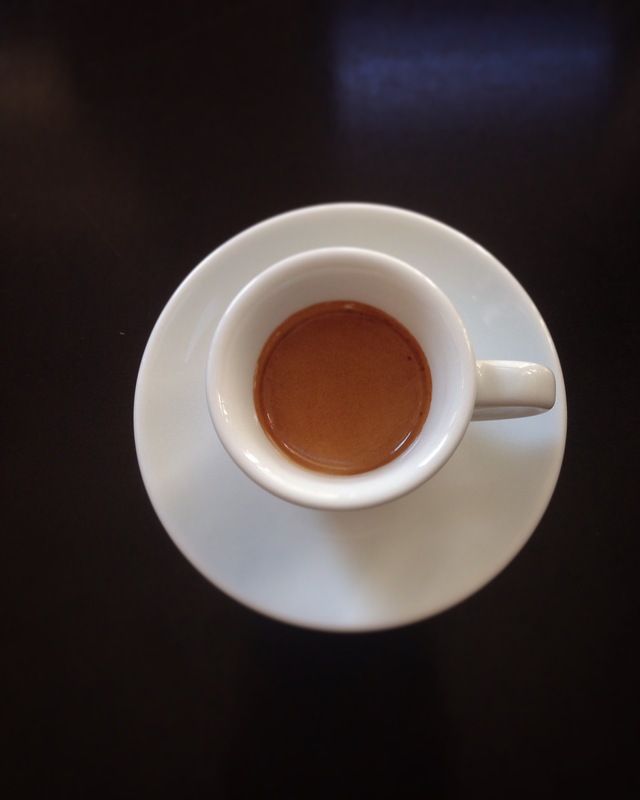 Mesura – I’m using approximately 18 grammes of freshly ground coffee for a double espresso. Most experts recommend always brewing a double shot – a single just doesn’t taste the same. Mano – Well, mine of course – I will never participate in a Barista competition, but I’ve been making espresso, practically almost everyday since 2007, so I think I have a good idea how to make espresso. Make sure your espresso machine is warm enough – mine’s is set to 93C and takes about 7 minutes to warm up. Pour your beans into the bean hopper of your espresso grinder and grind away. Make sure the setting is correct, whereby previously you checked that when you grind the beans, approximately 45ml of coffee comes out in 20-28 seconds – if it doesn’t, then keep playing around, trying not to waste too much coffee. If the coffee starts coming out after 10 seconds, the grind is too fine and coffee will be over extracted, bitterness. So keep playing around until you get that sweet spot – I must confess it is a lot of hit and miss, and can be quite expensive, excluding the cost of the machine and grinder (together over Euro2,000), but the beans, especially if you’re like me and buy really expensive stuff. In general, nine grammes of freshly ground Arabica coffee, tamped with 30 pounds or pressure, ground to a precision and brewed around 93-94.5C between 8 and 10 bars of pressure on an espresso machine that allows about 45ml (1.5 US fl ounce) of coffee to drip through into a cup in about 23-25 seconds, resulting in dark coffee with crema on top. SOUNDS COMPLICATED DOESN’T IT ? The most important thing however, concerns the preparation; such as the type of coffee, the grind and the machine – if any of the essential elements are missing then you won’t get espresso but some mutant of it, which unfortunately you will get in most coffee shops. The Chemex coffee maker was invented in 1941 and the iconic design remains unchanged today. Made of borosilicate laboratory grade glass, it is a sturdy heatproof vessel. Some coffee makers have plastic or metal parts that react with coffee oils and acids, but this is not the case with glass. For more than 70 years, generations have in turn embraced and ignored this simple coffee-brewing contraption. My Grandma had one, my Mom did not–and now I have one. The Chemex is in vogue again as pour over coffee gains popularity worldwide. 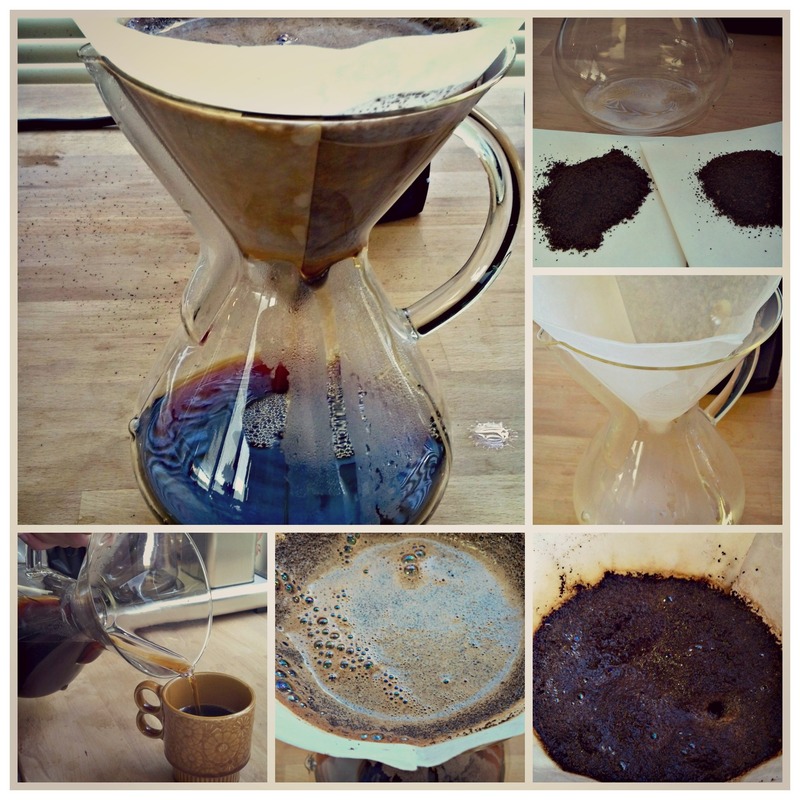 To brew coffee with a Chemex, all you need is the Chemex itself, a Chemex filter, ground coffee and 200F (93C) water. But is it really that simple? This depends on your coffee personality: Are you a Coffee Professor or a Coffee Artist? At heart the coffee professor desires repeatable results like with any scientific experiment. To this end, the professor begins by washing the Chemex with a coffee machine cleaning powder solution and rinses and dries it thoroughly to remove any previous coffee residue. Next, fresh filtered water is placed in a variable temperature gooseneck electric kettle set to 200F (93C). It only takes a few minutes to get to the right temperature and then the kettle shuts off on its own. With the equipment prepped and ready, the professor is ready to brew. The professor takes a Chemex brand paper filter and inserts it with the triple layer resting against the pour spout channel. The gooseneck kettle is used to wet the paper filter as it rests in place. The filter is then removed, the hot water is discarded and the filter is reverently put back into its place. This serves to pre-heat the glass carafe as well as rinse the paper filter to get rid of any “bland” smells. Although the Chemex is an affordable brewer (for coffee geeks), the professor will use a burr grinder that costs a lot more than the Chemex. This coffee grinder is calibrated to produce particles that are considered in the ‘fine drip’ coffee range. A kitchen scale is used to measure out 36g of good quality coffee beans, which are then freshly ground prior to the brewing process (remember, coffee begins to loose its optimal taste after a few seconds of grinding). The freshly ground coffee is then placed in the filter. The Chemex, filter and coffee are then placed on the scale and the tare on the scale is set to zero. With the precise control of the gooseneck kettle, just enough water is dribbled over the ground coffee to moisten it. This allows the coffee to “bloom,” a chemical process where carbon dioxide is released. The fresher the coffee, the more it blooms. After a specific amount of time (30 seconds to 1 minute depending on coffee ideology) the professor moves from pre-infusion to a methodical wetting of the grounds. In a concentric motion, water pours evenly into the Chemex until it is near the top. This cycle is repeated until the scale records 25-30 US fluid ounces (730-800 grammes) of water. From coffee bloom to completion should take no more than 5 minutes. If the coffee drained faster, the grind was too coarse and if the coffee drained too slowly, the grind was too fine. In this manner the professor fine-tunes the Chemex brewing method. The coffee artist knows inherently what it takes to make a good cup of coffee through trial and error or through muscle memory over time. My mom called this type of estimation, “eyeballing it.” I fall squarely into this camp. I do not have the perfect coffee brewing equipment; I make do with what I have in the kitchen. My kettle is heavy and hard to pour – It was a wedding gift. I boil the water and then pour it into a glass measuring cup that has an okay pour spout. I pre-wet the filter (barely) and then swirl and unceremoniously dump the hot water from the carafe. That is my nod to the pre-warm, pre-rinse, residue removal phase. I have a standard coffee scoop and I use 5 or 6 of those. My coffee is delicious and locally roasted with the roast date printed on the bag and since I do not yet own a burr grinder I buy it pre-ground. The coffee smells so delicious in the Chemex that I cannot wait for it to bloom. I pause for maybe 10 seconds to admire the pretty brownie cake-like surface and then continue to pour until it fills the Chemex to the top. As it drains out, I add more hot water until the level of coffee in the carafe reaches the bottom of the wooden collar. Then I compost the filter and spent grounds. While I enjoy the brew process, my desire is to fill a mug with delicious freshly brewed coffee as soon as possible. If I took a few shortcuts along the way, is mine better/worse/different than the coffee professor’s exacting methods? I think there is room for many coffee brewing styles in this world. When I go to a pour over bar I appreciate that they brew with accuracy and the goal is to attain an enjoyable and repeatable cup of coffee. Now that you know about the Chemex method of coffee brewing, you are welcome in either camp, just don’t forget to bring fresh coffee.